There are thousands of potholes across the more than 500 miles of roads Aberdeen City Council are responsible. Utility companies could face tougher rules over roadworks which cause potholes in England. Aberdeen City Council is to investigate using recycled plastic pellets to repair Aberdeen's roads. 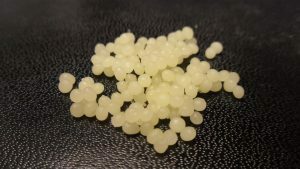 A call has been made for Aberdeen City Council to investigate technology which uses recycled plastic pellets to repair roads. A pothole-plagued Aberdeen street must be fixed “as soon as possible”, councillors have said, after recent bad weather exposed historical cobbles and cabling. A North-east council's roads chief has conceded potholes are “growing like mushrooms” as she tries to deal with challenging weather conditions. What’s Aberdeen’s most potholed street? We want your help to find the worst road in Aberdeen for potholes. A North-east councillor has called for a local authority to carry out urgent work on the road at an industrial park saying it is in a “dreadful state”. Concerns have been raised over the condition of a road used by AWPR construction traffic. New figures have revealed the amount spent repairing potholes across the North-east in the last year. Could plastic roads be the solution for potholes? A Scottish start-up claims it has found a way to cut waste plastic while repairing the country’s roads – using the waste material as part of the road building process. Potholes on North-east roads are a common complaint raised by motorists.